These are the rules and regulations for San Diego County Parks & Open Spaces visitors and guests. 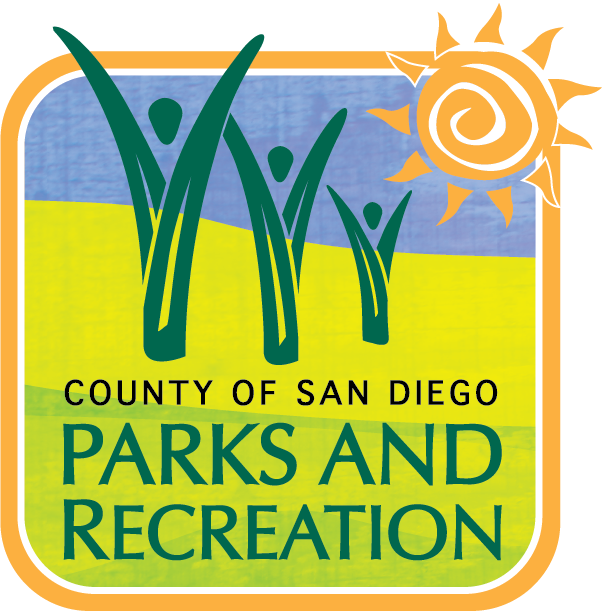 ACCIDENTS: The County of San Diego shall not be responsible for loss or accidents in San Diego County Parks and Open Spaces. SPEED LIMIT: 10 m.p.h. on all trails. BICYCLES: Bicyclists must yield right-of-way to other users. Children are required to wear helmets in San Diego County Parks and Open Spaces. DEFACEMENT PROHIBITED: No person shall remove, deface, or destroy trail markers, monuments, fences, trees, camp or picnic structures, or other preserve facilities. PRESERVATION OF TRAIL FEATURES: All wildlife, plant, and geologic features are protected and are not to be damaged or removed. All historical artifacts are to be left in place. HORSES AND OTHER ANIMALS: No horse or other animal shall be hitched to any tree, shrub, or structure in a manner that may cause damage to preserve property. No person shall ride, drive, lead, or keep a horse, except in areas specifically designated for such use in San Diego County Parks and Open Spaces. PETS: Dogs are allowed on a maximum six foot leash. Please clean up after your dog. NO HUNTING: No person shall use, transport, carry, fire, or discharge any firearms, air guns, archery device, slingshot, fireworks, or explosive device of any kind in a preserve. ALCOHOLIC BEVERAGES: No intoxicating liquors having more than 20% alcohol by volume are permitted. FIRE HAZARDS AND SMOKING: No smoking. Campfires are prohibited. Stoves allowed only in primitive group camping area.